A key performance indicator (KPI) is only effective if you’re actively measuring it. Key performance indicators can help provide insight into whether your marketing efforts are effective or you need to take a different approach. For example, if one of your campaigns is negatively affecting ROI, the sooner you know the better. Marketers who measure their KPIs on a frequent basis can more easily identify bad campaigns and flip the switch before it affects the ultimate objective. Likewise, campaigns showing promise through positive key performance indicators can be further explored. Cathy McPhillips, vice president of marketing for CMI, emphasizes the importance of measuring your marketing activities in A Simple Plan for Measuring the Marketing Effectiveness of Content. If you’re not actively measuring your KPI, then you’re missing out on opportunities to improve your business’s bottom line. Each KPI can also be a useful reporting metric for marketers wanting to strengthen support for their work. The bottom line? Pick KPIs that you are going to actively measure and stick to it. Not every marketing campaign starts off with a perfect goal set. In some cases, a little fine-tuning is necessary along the way. You will only know whether you’re chasing the right goals if you associate the right KPI with them. In some cases, marketers create a bunch of random key performance indicators for show-and-tell, but they mean little in the long run if they don’t match your goals. If you’re only reporting KPI for reporting’s sake, you’re doing a disservice to your business. If you’re focusing on only one KPI, you could be negatively impacting other metrics without realizing it. Analyzing multiple key performance indicators can help paint a bigger picture. TIP: Unsure of what KPIs to consider? Check out the list near the end of this post. This can also apply to conversion rates. If your KPI shows high views with a low conversion rate, then you may need to reassess your content marketing strategy. Remember, no single KPI can effectively measure your entire marketing campaign. Rather, you should be measuring a diverse set of key performance indicators tied directly to your unique marketing goals. 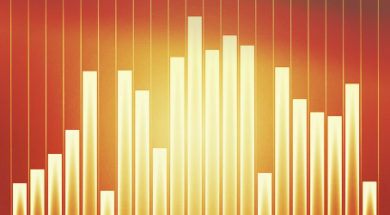 Are you including social media metrics in your key performance indicators? When it comes to a KPI, it’s easy to get stuck measuring web metrics like conversion rates, traffic, and sales while neglecting your social media stats. But your social media performance is just as important to measure as your other metrics. Staying connected with your customers can help strengthen your brand and profitability. He recommends the use of Facebook Insights and Twitter Analytics – built-in tools that allow you to export important social metrics for analysis. And when it comes to social media metrics, you may want to pay attention to more than just your “like” and “follower” counts. Metrics such as follower counts often reveal little about your overall performance. You should measure a KPI to provide an insight into data such as how your customers engage with your content and if that content is converting. By measuring your audience’s engagement, you can better focus your marketing efforts on strategies that positively influence your critical KPI metrics and less on activities that drag it down. Everyone from a new social media specialist to the CEO of a Fortune 1000 company has a different perspective about which KPI matters the most. At the end of the day, it’s simply a matter of tracking what you’re trying to achieve. By creating this resource post for KPIs, my goal is to help you evaluate what you have in place and identify opportunities for the future. But remember, no matter what KPIs you pick, there is one universal thing you must do – don’t forget to actually measure them. What KPIs work well for you? Operate your content marketing program at peak performance. Subscribe to CMI’s free daily or weekly digest newsletters to discover more tips, trends, and insights on content marketing.